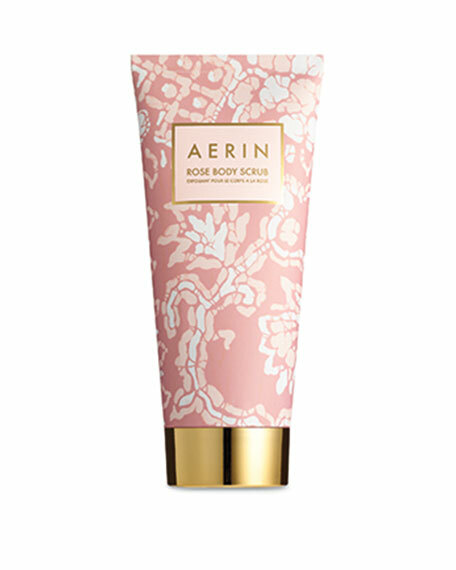 AERINLimited Edition Rose Body Scrub, 6.7 oz. Transform skin with this rich cream exfoliator that gently refines and retextures. 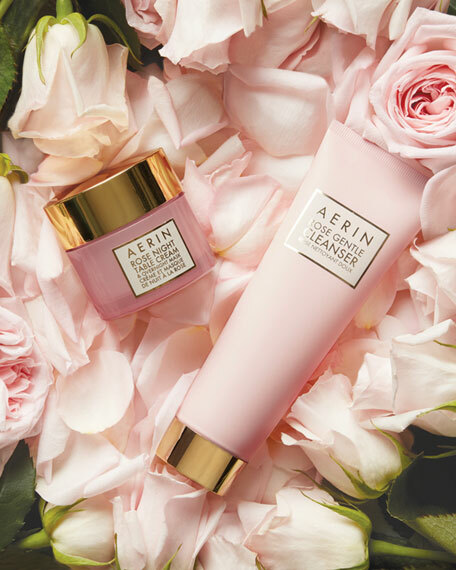 Fine particles instantly buff skin, leaving it fresh, glowing, smooth and lightly scented with AERIN's signature floral infusion. The scrub comes in a beautiful batik pattern package in a soft shade of pink.